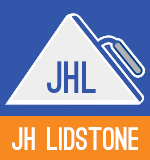 JH Lidstone is a local firm with a national reputation, a progressive company but one which respects traditional values. Formed in 1963 and named after its founder, Jack Henry Lidstone, it is now run by his son and grandsons - a family business that has provided a personal touch for over 40 years. At the same time it's earned a reputation for pioneering and innovation. Based in Plymouth, Devon, the company has become a single port of call for all your Plastering, Screeding, and Ceramic Tiling needs. Lidstones are proud to deliver a quality service every time.